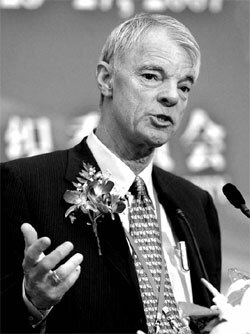 Michael Spence: China's economy will sustain its fast growth for at least two more decades. 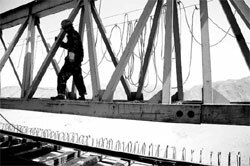 China has been in a high growth mode since it started economic reforms in the late 70s. Its almost three decades of high growth is the longest among the 11 high-growth economies in the world and part of "a recent, post-World War II phenomenon". And the Chinese economy will sustain its fast growth for at least two more decades. In the post-War period, 11 economies have recorded high growth, with eight of them being in Asia: the Chinese mainland, Hong Kong, Taiwan, Singapore, Indonesia, South Korea, Malaysia and Thailand, Spence says. Going by gross domestic product (GDP) figures, "high growth" means above 7 percent expansion, and an economy is said to have "sustained growth" if it keeps growing for 25 years or more. Growth at such rates produces very substantial changes in income and wealth. The Chinese mainland is not only the latest example of a high-growth economy, but it has also seen the fastest and largest increase in growth in terms of population, says the senior fellow of Hoover Institution, a top US think tank. India too has attracted a lot of attention because it is entering a period of high growth. "Though each growth model is different, they share certain features," Spence told the Shanghai Forum 2007 at the Fudan University in late May. "In all cases, there is a functioning market economy with its price signals, incentives, decentralization and enough definition of private property ownership to enable investment." The high levels of savings and investments both in the public and private sectors, resource mobility and rapid urbanization are the important characteristics of China's high growth, says Spence, who is also the chairman of the independent Commission on Growth and Development. The commission was set up last year to focus on growth and poverty reduction in developing countries. China's saving rate of between 35 to 45 percent is among the highest despite the relatively low level of income of its people. Resource mobility has generated new productive employment to absorb surplus labor in a country where 15-20 million people move from the rural areas to the cities every year. The most important feature of sustained high growth is that it leverages the demand and resources of the global economy, says Spence. All cases of sustained high growth in the post-War period have integrated into the global economy because exports act as a major high-growth driver. "The systematic reduction of barriers to trade and investment in the last 55 years and the dramatic fall in costs of transportation, information and communications technologies have combined to raise the level of that integration. It is the combined effect of these trends that has made the global economy an increasingly powerful source of potential growth." Enumerating the reasons why the Chinese economy will sustain its high growth rate for another two decades, he says: "There are basically two reasons. One is that there is still a lot of surplus labor in agriculture. The engine for high growth is still there. The second is that the Chinese economy has diversified very rapidly. It's quite flexible and entrepreneurial." But a recent report of the Chinese Academy of Social Sciences surprised many by saying the most populous country in the world will actually suffer from a shortage of labor from 2009. Spence, who won the Nobel Prize for Economics in 2001 for his contribution to the analysis of markets with asymmetric information, however, says: "The economy is more global in every dimension and it just seems to me that there is lot of potential. The reason I am optimistic is that I don't see anything in the way; your government seems to understand perfectly the dynamics (required for sustained high growth)." The only way to stop China's high growth would be to shut the economy off from the rest of the world. "It's just not going to happen." Even 20 years later, China will continue to grow because its currency will appreciate, helping raise the income level and increase the wealth of the people. Spence, who now visits China frequently, and is scheduled to attend a meeting on urbanization in Beijing this month, is concerned about the country's problems, too, with the environment being right on top of his list. Claiming to be more on the Chinese side on trade surplus and currency issue, Spence sees China's huge trade surplus as a likely cause of protectionism both by the US and the Europe Union. The high proportion of China's trade surplus is unprecedented in the world, he says. To balance the huge trade deficit, Spence hopes China would boost domestic consumption and bring down the saving rate. He acknowledges, though, that the relatively high-income younger generation is spending more despite the fact that East Asians traditionally are good at saving. A solution to the trade imbalance could also be found by increasing social security and the pension system, making them available to everybody, improving the medical coverage in the rural areas and making education at all levels affordable. Spence comes from a family that lays strong emphasis on education, and hence he believes it to be a vital driver of economic growth. Years ago, he joined China's top education official Wei Yu in Beijing to talk on education, human capital and the country's economic future. He has also written articles in major business newspapers, criticizing ignorant and protectionist views on China's trade and economic issues because he says he understands the Chinese Government's pragmatic and experimental approach toward the currency issue. He thinks a measured appreciation of the yuan could be done with balanced and coordinated efforts. "I think it is good if this could be done more quickly." Though the widening income gap and corruption are his other concerns, he is optimistic of the future because the Chinese leaders are aware of the problems and are trying to solve them. People should have been worried if Premier Wen Jiabao hadn't dealt with the problems in his Five-Year Plan.